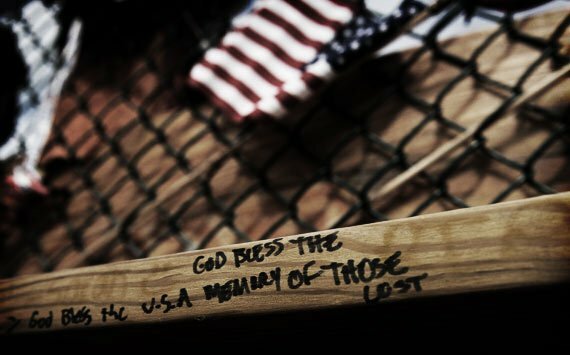 From the World Trade Center twin towers to the Pamir Mountains of Afghanistan, a decade of sacrifices made our neighbors heroes. The phone rang right about ten minutes to the hour. I was in a rush to get my daughters off to school and my oldest, Kelly, was already barking at me about being late. I picked up the phone. My wife was calling from New York City. "I'm fine." That's all she said. "Well honey, I'm fine too," I answered, trying to keep the conversation going. "Did you hear? Turn on the TV." "Tiffini, what is going on?" I asked. I turned on the TV. While my wife watched the second plane plunge into the South Tower from her office window, I saw the strange helicopter view of the same event, four time zones away. I knew it wasn't an accident; my heart told me we were at war. Kelly yelled, "We have to go. We are going to be late." We were not the only people late and lost that day. 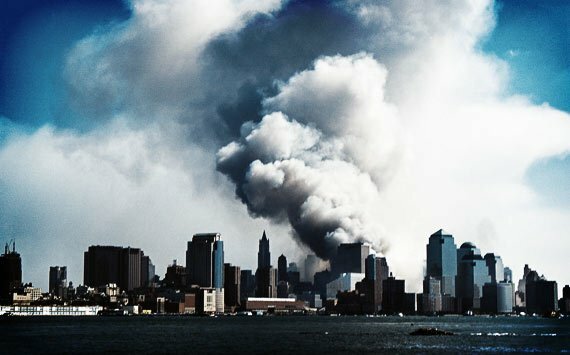 By the end of September 11, 2001, my daughters huddled in blankets with grandparents and my wife was stuck on Manhattan Island. I thought about my folks and the decisions they had to make after the attack on Pearl Harbor. The reports came out on United Airlines Flight 93 (the plane that crashed near Shanksville, Pennsylvania, killing 44 people), about the brave souls who rallied up the first wave of counterattack with "Let's roll." Many of us asked ourselves: "What would I have done?" Later, after Tiffini finally returned to us - an 8-day ordeal we still don't talk about - she said she heard a report about the guys on 93. "Danny, they were just like you," she told me. The question remains: Would I have rolled? The heroes were too many to count that day. I refuse to forget Father Mychal Judge, the chaplain who went back in with the firemen and was struck down by the falling debris. Excluding the 19 terrorists, 2,977 people from 70 countries died in the four attacks. 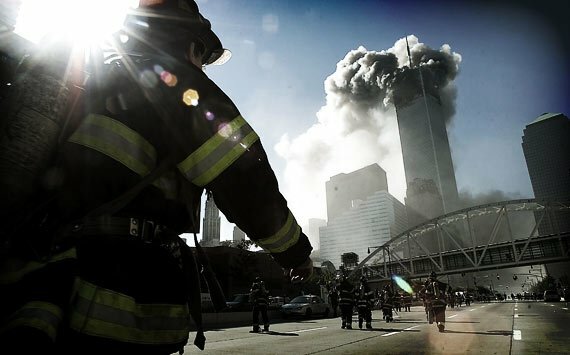 Few faiths and national origins were spared as brave men and women of all backgrounds risked or sacrificed their lives to help hundreds stranded in those towers. "We go back in," they said. Those two phrases have been my personal Twin Towers for the past decade: "Let's roll" and "We go back in." There will be moments in our lives when we are asked to step up to something bigger than ourselves. We might have to sacrifice more than we can fix. We face these moments in large and small ways, from taking on an extra job to pay for something for our children, or perhaps by risking life and limb. Either way, a difference is made. It's important. Let's roll. And, perhaps, things come apart. You need to know there are others willing to come back and take care of you. If you have been on a team, a unit or a force, you understand this better than most. We still live in a community and, oddly, it took 9/11 for some of us to remember it. In those ten years, I had the honor to work with members of fire departments, sheriff departments, SWAT teams and special operations members from the most elite groups in the United States. As I work with them in the tools of my trade - barbells and kettlebells - I always come away with a sense that I would be honored to call them son, daughter or friend. "The evidence for this I find in the gradual evolution of religions from pagan and sacrificial to enlightened and protective of human life and the human spirit; and of societies from barbaric to civilized, from monarchial or tyrannical to democratic. I see this as evidence of an ever-deepening realization of the inherent, sacred value of the individual, a value that finds its root in the divine spark that each one of us carries within us." The warriors who keep us safe from harm's way train themselves physically, emotionally, intellectually and technologically. The first responders, the police, the firemen, the port authority officers and the members of our Armed Forces are literally our brothers and sisters in iron. It's not just a workout or a motto for a T-shirt, but physical training literally is and remains the best way to bring hurt to the enemy and safety to our homes. As we look back over ten years, we see a changed world. My daughter Kelly is now a first-grade teacher. We have lost lives in the fight against global terrorism. We continue to ask the big questions about the cost, benefits and long-term effects. We continue to train. We continue to learn. Most importantly, we continue to recognize the importance of "going back in." Beyond prayers, I felt I could do little in the aftermath of 9/11. So, I dedicated my workouts for a year to the first responders and Mychal Judge.